For some people within the Christian community, the thought of a Life Coach or Parent Coach is an odd idea. They do not understand how beneficial a Life Coach or Parent Coach can be. Just as a sports coach works to lead the players to a win, a Christian Parent Coach’s goal is to help parents successfully lead their family, to help their children grow to better know and love the Lord, AND to create a better life here on earth. A Parent Coach knows parents are “playing“ with much greater stakes than just winning a game. They know parenting is about helping one's children make wise decisions and grow to be relatively happy and well-adjusted witnesses of how a strong Christian lives. Janet Bonnin believes that to achieve this, one must combine a spiritual foundation with the emotional, mental and physical. This is why she began Families of the Way. Parent coaching helps one become a clear communicator, a stronger spiritual leader and a more effective parent. Skills such as plan making, goal setting, and critical thinking are often part of the sessions. If so desired, all coaching sessions can begin and end with prayer, inviting the Lord to be more fully present in the conversations and discovery. On What Does Parent Coaching Focus? As a Parent Coach, Janet knows how busy parents are. It is her goal to help them bridge the gap between what is being done and what is needed to create an even stronger family unit. Common goals include improving spirituality,relationships, a healthier lifestyle, career, or even dreams for the future. In meeting with a parent, an assessment is made to find out in what areas improvement is desired. How is a Life Coach Different from a Counselor? Counseling usually focuses on the past and deeper seated issues. Life coaching deals with how today’s choices affect tomorrow. It is not uncommon for Janet to work with the parents or family on some skill sets while one or more family members are seeking counseling. With Whom Does Families of the Way Parent Coaching Work? Our clients are generally busy parents from all walks of life. But these parents share a common goal – to improve their family’s present and future. The parents may be single, married, work full time or be stay at home parents, but the goal for a healthier and happier family is the same. Know, too, that mature children often choose to be part of the coaching, if they are open to creating positive change in their lives. Can Parent Coaching Benefit Me? Parent coaching is for any parent –no matter their children’s ages- who wishes to improve their family relationships. 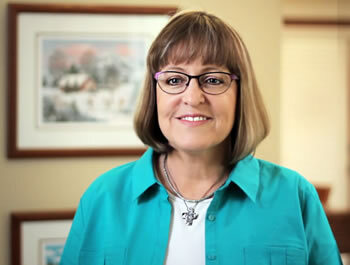 Janet can help you bring about positive, long lasting change in every part of your life. Do Both Parents Need to Take Part for Parent Coaching to be Successful? While it would be great if both parents are involved in the Parent Coaching Sessions, it is not required. Change and improvements can still take place as long as both parents are open to the process. Can Group Sessions Offer Privacy? When parent coaching groups are formed, it is with the agreement that whatever is said in the room, stays in that room. You are not required to speak and will not be pressured to do so. However, parent coaching groups often help parents connect with others and learn from their experiences.